The comparative effectiveness of treatments for prostate cancer that is detected by prostate-specific antigen (PSA) testing remains uncertain. We compared active monitoring, radical prostatectomy, and external-beam radiotherapy for the treatment of clinically localized prostate cancer. Between 1999 and 2009, a total of 82,429 men 50 to 69 years of age received a PSA test; 2664 received a diagnosis of localized prostate cancer, and 1643 agreed to undergo randomization to active monitoring (545 men), surgery (553), or radiotherapy (545). The primary outcome was prostate-cancer mortality at a median of 10 years of follow-up. Secondary outcomes included the rates of disease progression, metastases, and all-cause deaths. There were 17 prostate-cancer–specific deaths overall: 8 in the active-monitoring group (1.5 deaths per 1000 person-years; 95% confidence interval [CI], 0.7 to 3.0), 5 in the surgery group (0.9 per 1000 person-years; 95% CI, 0.4 to 2.2), and 4 in the radiotherapy group (0.7 per 1000 person-years; 95% CI, 0.3 to 2.0); the difference among the groups was not significant (P=0.48 for the overall comparison). In addition, no significant difference was seen among the groups in the number of deaths from any cause (169 deaths overall; P=0.87 for the comparison among the three groups). Metastases developed in more men in the active-monitoring group (33 men; 6.3 events per 1000 person-years; 95% CI, 4.5 to 8.8) than in the surgery group (13 men; 2.4 per 1000 person-years; 95% CI, 1.4 to 4.2) or the radiotherapy group (16 men; 3.0 per 1000 person-years; 95% CI, 1.9 to 4.9) (P=0.004 for the overall comparison). Higher rates of disease progression were seen in the active-monitoring group (112 men; 22.9 events per 1000 person-years; 95% CI, 19.0 to 27.5) than in the surgery group (46 men; 8.9 events per 1000 person-years; 95% CI, 6.7 to 11.9) or the radiotherapy group (46 men; 9.0 events per 1000 person-years; 95% CI, 6.7 to 12.0) (P<0.001 for the overall comparison). A total of 545 men were randomly assigned to active monitoring, 553 to radical prostatectomy, and 545 to radiotherapy. The median age of the participants was 62 years (range, 50 to 69), the median PSA level at the prostate-check clinic was 4.6 ng per milliliter (range, 3.0 to 19.9), 77% had tumors with a Gleason score of 6 (on a scale from 6 to 10, with higher scores indicating a worse prognosis), and 76% had stage T1c disease; there were no meaningful differences at baseline among the three randomized groups.6 Information on baseline demographic and clinical characteristics according to assigned treatment group is provided in Table S2 in the Supplementary Appendix, available with the full text of this article at NEJM.org. Figure 1. Randomization, Treatment, and Follow-up. Details of the screening, randomization, and follow-up of patients in the ProtecT trial were published previously and are shown in Figure 1. Approval for the trial was obtained from the U.K. East Midlands (formerly Trent) Multicenter Research Ethics Committee (01/4/025). The trial was overseen by an independent trial steering committee and a separate data and safety monitoring committee. All the participants provided written informed consent. The authors vouch for the accuracy and completeness of the data and for the fidelity of the trial to the protocol, available at NEJM.org. Treatment options were discussed with the men, and 1643 men (62% of the eligible participants) agreed to undergo randomization. Treatment assignments were stratified according to site, with stochastic minimization to improve the balance across the groups with respect to age, Gleason score (<7, 7, or 8 to 10 points), and the mean of the baseline and first biopsy PSA test results together (<6.0, 6.0 to 9.9, or >9.9 ng per milliliter). After randomization, clinicians and participants were aware of the group assignments. Clinical management was standardized with the use of trial-group–specific pathways. The purpose of active monitoring was to minimize the risk of overtreatment by avoiding immediate radical intervention and by monitoring disease progression regularly, so that radical treatment with curative intent could be given as necessary. Triggers to reassess patients and consider a change in clinical management were based largely on changes in PSA levels. This was very different from “watchful waiting” in the Scandinavian Prostate Cancer Group Study Number 4 (SPCG-4) and in the U.S. Prostate Cancer Intervention versus Observation Trial (PIVOT), which had no planned protocol for curative radical intervention on disease progression.2,4 Serum PSA levels were measured every 3 months in the first year and every 6 to 12 months thereafter. Changes in PSA levels were assessed. An increase of at least 50% during the previous 12 months triggered a review. Management options included continued monitoring or further tests and radical or palliative treatments as required. The radiotherapy protocol included neoadjuvant androgen-deprivation therapy for 3 to 6 months before and concomitantly with three-dimensional conformal radiotherapy delivered at a total dose of 74 Gy in 37 fractions. The protocol for quality assurance followed the RT01 trial procedures.7-9 The trial oncologist held a review appointment with participants if PSA levels rose by at least 2.0 ng per milliliter above the nadir or if concerns were raised about progression. Management options included continued monitoring, additional testing, salvage therapy, or palliative treatments. In men assigned to surgery, postoperative PSA levels were measured every 3 months for the first year, every 6 months for 2 years, and yearly thereafter. Adjuvant or salvage radiotherapy was discussed with patients who had positive surgical margins, extracapsular disease, or a postoperative PSA level of 0.2 ng per milliliter or higher. In all groups, androgen-deprivation therapy was offered when PSA levels reached 20 ng per milliliter or less, if indicated. Imaging of the skeleton was recommended if the PSA level reached 10 ng per milliliter. Although some events of clinical progression such as metastases could be reported uniformly, manifestations of local progression could differ between men receiving radical treatment and those receiving active monitoring because of differences in treatment assignments. After surgery, the serious intervention-related complications that were recorded were death, transfusion of more than 3 units of blood, thromboembolic or cardiovascular events, rectal injury, and anastomotic problems requiring intervention. After radiotherapy, the complications that were recorded were death and any treatment-related toxic effect resulting in major surgical intervention. Intervention-related complications within 90 days after the completion of treatment were recorded. A prespecified statistical analysis plan was developed before the data for the primary analysis were accessed (see the Supplementary Appendix). The primary outcome of prostate-cancer mortality (the rate of death due to prostate cancer or its treatment) was compared among the three assigned treatment groups on an intention-to-treat basis with the use of Cox proportional-hazards regression adjusted for trial center, age at baseline, Gleason score, and PSA level at baseline (log-transformed). The results of an alternative cumulative-incidence approach with competing risks regression are shown in Figs. S1 and S2 and Table S1 in the Supplementary Appendix. Prostate-cancer–specific mortality is reported with 95% confidence intervals for each treatment group, and pairwise significance tests were planned if a test of the null hypothesis of no difference in 10-year disease-specific risk of death across all three groups yielded a P value of less than 0.05. This conditional approach was designed to keep the overall false positive rate at 5%. The primary analysis approach was adapted as necessary for secondary outcomes. Four prespecified subgroup analyses were conducted with the use of relevant interaction terms: age, clinical stage, Gleason score, and PSA level. All analyses were conducted with the use of Stata software, version 14.1 (StataCorp). Of the 1643 men who underwent randomization (Figure 1), 14 (1%) were lost to follow-up for secondary outcomes during the 10-year follow-up period, but data on deaths were captured for all participants. A total of 482 of the 545 men assigned to active monitoring (88%), 391 of the 553 men assigned to surgery (71%), and 405 of the 545 men assigned to radiotherapy (74%) received the assigned treatment within 9 months after randomization. Figure 2. Kaplan–Meier Estimates of the Cumulative Probability of Undergoing Radical Intervention during the Follow-up Period, According to Treatment Group. Figure 2 shows the cumulative probability of receiving radical treatment. By the end of our reported follow-up, more than 85% of the men assigned to radiotherapy or surgery had received a radical intervention. Of the 545 men assigned to active monitoring, 291 had received a radical treatment by the end of November 2015 (Kaplan–Meier estimate, 54.8%; 95% confidence interval [CI], 50.4 to 59.3). Of those 291 men, 142 (49%) underwent surgery (37 within 9 months after assignment to the active-monitoring group), 97 (33%) received per-protocol radiotherapy (17 within 9 months after group assignment), and 22 (8%) received brachytherapy (2 within 9 months after group assignment); in addition, 27 (9%) received nonprotocol radiotherapy, and 3 (1%) received high-intensity focused ultrasound therapy, all beyond 9 months after group assignment. Of the 391 men who underwent prostatectomy, 18 had primary treatment failure. Of those, 9 (2%) had a PSA level of 0.2 ng per milliliter or higher between 31 and 183 days after surgery; 5 received salvage radiotherapy and 1 long-term androgen-deprivation therapy within a year after surgery. An additional 9 men received adjuvant radiotherapy within a year after surgery, because of pathologic extracapsular (pT3) disease (8 men) or positive surgical margins (7 men). Stage pT3 disease was present in 114 of the 391 men (29%), and 93 (24%) had a positive surgical margin. Four of the 280 patients who underwent lymphadenectomy (1%) had lymph-node involvement. Of the 405 men who started radiotherapy within 9 months after treatment assignment, 55 (14%) had an increase in the PSA level of 2 ng per milliliter or more above the nadir after radiotherapy, of whom 3 underwent salvage prostatectomy, 14 received long-term androgen-deprivation therapy, and 1 received high-intensity focused ultrasound therapy. Table 1. Prostate-Cancer Mortality, Incidence of Clinical Progression and Metastatic Disease, and All-Cause Mortality, According to Randomized Treatment Group.Figure 3. Kaplan–Meier Estimates of Prostate-Cancer–Specific Survival and Freedom from Disease Progression, According to Treatment Group.Table 2. Deaths from Prostate Cancer, According to Subgroup. The independent cause-of-death evaluation committee ascertained seven definite and one probable prostate-cancer–specific deaths in the active-monitoring group, three definite and two probable prostate-cancer deaths in the surgery group, and four definite prostate-cancer deaths in the radiotherapy group (Table 1 and Figure 3A). Prostate-cancer–specific survival was at least 98.8% in all groups, and there was no significant difference among the three randomized groups (P=0.48 by log-rank test). Hazard ratios for prostate-cancer–specific death were as follows: 0.51 (95% CI, 0.15 to 1.69) for the comparison of the radiotherapy group with the active-monitoring group; 0.80 (95% CI, 0.22 to 2.99) for the comparison of the radiotherapy group with the surgery group; and 0.63 (95% CI, 0.21 to 1.93) for the comparison of the surgery group with the active-monitoring group. There was no evidence that between-group differences in prostate-cancer mortality varied according to age, PSA level, Gleason score, or clinical stage (Table 2). Deaths from any cause were evenly distributed across the treatment groups (P=0.87 by likelihood-ratio test) (Table 1, and Table S3 in the Supplementary Appendix), although the confidence intervals for the hazard ratios were wide and so did not provide strong evidence of equivalence across the groups (Table S1 in the Supplementary Appendix). Details of the men who died of prostate cancer are provided in Table S4 in the Supplementary Appendix. A total of 204 men had disease progression, including metastases (Table 1 and Figure 3B). The incidence was higher in the active-monitoring group than in the surgery and radiotherapy groups (112 men in the active-monitoring group, 46 in the surgery group, and 46 in the radiotherapy group; P<0.001 for the overall comparison). Evidence of disease progression included the presence of metastases (33 men in the active-monitoring group, 13 in the surgery group, and 16 in the radiotherapy group; P=0.004 for the overall comparison), clinical T3 or T4 disease (79 men in the active-monitoring group, 24 in the surgery group, and 21 in the radiotherapy group), and the initiation of long-term androgen-deprivation therapy (47 men in the active-monitoring group, 26 in the surgery group, and 30 in the radiotherapy group), with evidence of more than one criterion for some men. There were no deaths related to surgery; 9 men had thromboembolic or cardiovascular events, 14 required transfusion of more than 3 units of blood, 1 had a rectal injury, and 9 required intervention for anastomotic problems. There were 3 deaths unrelated to prostate cancer within 90 days after the completion of radiotherapy. On the basis of our results, we estimated that 27 men would need to be treated with prostatectomy rather than receive active monitoring to avoid 1 patient having metastatic disease, and 33 men would need to be treated with radiotherapy rather than receive active monitoring to avoid 1 patient having metastatic disease. A total of 9 men would need to be treated with either prostatectomy or radiotherapy to avoid 1 patient having clinical progression. We conducted sensitivity analyses that excluded men who were recruited during the feasibility phase or that included deaths that were judged to be possibly due to prostate cancer. The findings were similar to those in the primary analysis. The ProtecT trial was designed to evaluate the effectiveness of the three major contemporary treatment approaches to reducing prostate-cancer mortality and improving clinical outcomes in men with PSA-detected clinically localized disease. The results show that death from prostate cancer in such men remained low at a median of 10 years of follow-up, at approximately 1%, irrespective of the treatment assigned, a rate that is considerably lower than was anticipated when the trial commenced. All-cause mortality was also low — at approximately 10%. The rate of disease progression among men assigned to prostatectomy or radiotherapy was less than half the rate among men assigned to active monitoring (P<0.001 for the overall comparison), as was the rate of metastatic disease (P=0.004 for the overall comparison). These differences show the effectiveness of immediate radical therapy over active monitoring, but they have not translated into significant differences — nor have they ruled out equivalence — in disease-specific or all-cause mortality; thus, longer-term follow-up is necessary. The majority of men who were randomly assigned to active monitoring (88%) accepted their treatment assignment, but a quarter of them received radical treatment within 3 years after their initial assignment and over half by 10 years. SPCG-4 showed that the risk of death from cancer was 6.6 percentage points lower within 8 years (average follow-up) in the group assigned to surgery than in the group assigned to watchful waiting and 11.0 percentage points lower within 23 years. Only 10% of the men in SPCG-4 had prostate cancer detected by measurement of PSA levels. The ProtecT trial findings were similar to those of PIVOT in that prostatectomy did not result in lower all-cause or prostate-cancer–specific mortality than observation through at least 12 years of follow-up.4 All-cause and prostate-cancer–specific mortality were much lower in the ProtecT trial than in SPCG-4 or PIVOT (Table S5 in the Supplementary Appendix). This may have been related to recruitment of a healthier cohort through the population-based PSA-testing program in the ProtecT trial and improvements in the medical treatment of nonprostatic diseases and of progressing prostate cancer with second-generation and third-generation androgen-deprivation therapy, bone-targeted agents (e.g., radionuclides, inhibitors of receptor activator of nuclear factor-κβ ligand [RANKL], and chemotherapy), and immunotherapy. It is likely that this evolution contributed to the low prostate-cancer mortality in the ProtecT trial and will influence future follow-up. Evidence of the effectiveness of immediate radical intervention in reducing disease progression was consistent in the ProtecT trial, SPCG-4, and PIVOT, with the ProtecT trial showing a similar benefit from radiotherapy and surgery. The PLCO Cancer Screening Trial showed no beneficial effect of screening for prostate cancer, but this trial had severe limitations because of high levels of contamination. In contrast, ERSPC showed that screening was associated with increased survival and decreased progression but at a substantial cost of overdetection and overtreatment. Synthesizing these data, the U.S. Preventive Services Task Force recommended that population screening for prostate cancer should not be adopted as a public health policy, because risks appeared to outweigh benefits from detecting and treating PSA-detected disease. The Cluster Randomised Trial of PSA Testing for Prostate Cancer (CAP) is assessing the effectiveness of population-based PSA testing. In this trial, primary care physician practices were randomly assigned to enroll participants in the ProtecT trial (the intervention group) or to follow usual care (the control group receiving no formal PSA testing), with prostate-cancer mortality as the primary outcome. Primary treatment failure occurred in 18 men in the surgery group and in 55 men in the radiotherapy group. Radical interventions were received by 291 men in the active-monitoring group, with 56 (19%) receiving treatment within 9 months after randomization. Between-group comparisons with respect to treatment failure require considerable caution because of the different definitions and variables used. In the case of prostatectomy, primary treatment failure can be inferred at an early stage because of detectable PSA postoperatively. In the case of radiotherapy, treatment failure can be determined only from subsequent increases in PSA levels that might occur much later. For patients assigned to active monitoring, a change of management to radical treatment might have been undertaken for reasons other than disease progression. Rates of change of management in the ProtecT trial were similar to those in other active surveillance programs. Between-group comparisons with respect to disease progression should also be interpreted carefully because of different definitions and methods of ascertainment. In the surgery group, extracapsular extension (pT3 disease) was present in 29% of the men at the time of surgery, a proportion of whom could have been cured by the radical intervention. Similar rates of an increase in clinical stage would be anticipated in the radiotherapy and active-monitoring groups, emerging later as disease progression. Guidelines suggest that men with low-volume, low-risk disease should be followed without immediate intervention.27 Active surveillance in such cohorts over a period of 15 years has yielded a disease-specific mortality of 0.1 to 1.5%, depending on the definition of low-risk or very-low-risk disease.24,25 However, there remains little consensus about the best protocols for following these patients safely, in order to maintain them in a “window of curability.” In the ProtecT active-monitoring group, almost half the men received no intervention during the 10-year follow-up period. There are several limitations of the ProtecT trial. First, the protocol was developed almost two decades ago; since then, treatments and diagnostic techniques for prostate cancer have evolved. The ProtecT trial did not use multiparametric magnetic resonance imaging to evaluate patients at diagnosis or during monitoring. Surgical techniques have changed with robot-assisted laparoscopic prostatectomy, and although all patients in the radiotherapy group received neoadjuvant androgen-deprivation therapy with three-dimensional conformal irradiation, new techniques such as intensity-modulated radiotherapy have been introduced, and brachytherapy was not included. Second, less than 1% of the participants enrolled in this trial were of African–Caribbean ancestry (Table S2 in the Supplementary Appendix), but this percentage reflected the population in the recruiting centers who were in the trial age range.29 The strengths of the trial include the randomized comparison of men with PSA-detected prostate cancer, the inclusion of radiotherapy, standardized treatment pathways, and regular follow-up with high rates of response. At a median follow-up of 10 years, the ProtecT trial showed that mortality from prostate cancer was low, irrespective of treatment assignment. Prostatectomy and radiotherapy were associated with lower rates of disease progression than active monitoring; however, 44% of the patients who were assigned to active monitoring did not receive radical treatment and avoided side effects.5 Men with newly diagnosed, localized prostate cancer need to consider the critical trade-off between the short-term and long-term effects of radical treatments on urinary, bowel, and sexual function and the higher risks of disease progression with active monitoring, as well as the effects of each of these options on quality of life. Further follow-up of the ProtecT participants with longer-term survival data will be crucial to evaluate this trade-off in order to fully inform decision making for physicians and patients considering PSA testing and treatment options for clinically localized prostate cancer. Supported by the U.K. National Institute for Health Research Health Technology Assessment Programme (NIHR HTA: projects 96/20/06, 96/20/99, with the University of Oxford as sponsor). Dr. Donovan is supported by the NIHR Collaboration for Leadership in Applied Health Research and Care West, hosted by University Hospitals Bristol NHS Foundation Trust, and Dr. Hamdy is supported by the Oxford NIHR Biomedical Research Centre Surgical Innovation and Evaluation Theme and the Cancer Research U.K. Oxford Centre. Drs. Hamdy, Donovan, Lane, and Neal contributed equally to this article. The views and opinions expressed in this article are those of the authors and do not necessarily reflect those of the U.K. Department of Health. This article was published on September 14, 2016, at NEJM.org. We thank Mrs. Joke Snoeck for her assistance in the preparation of an earlier draft of the manuscript, all the ProtecT trial participants and researchers for their contributions, and the members of the independent trial steering committee, data and safety monitoring committee, and cause-of-death evaluation committee. From the Nuffield Department of Surgical Sciences, University of Oxford, Oxford (F.C.H., P.H., D.E.N. ), the School of Social and Community Medicine (J.L.D., J.A.L., C.M., M.D., E.L.T., R.M.M., E.W. ), the Bristol Randomized Trials Collaboration (J.A.L., C.M. ), and School of Clinical Sciences (T.J.P. ), University of Bristol, the National Institute for Health Research Collaboration for Leadership in Applied Health Research and Care West, University Hospitals Bristol NHS Foundation Trust (J.L.D. ), the Department of Cellular Pathology, North Bristol NHS Trust (J.O. ), and the Department of Urology, Southmead Hospital and Bristol Urological Institute (D.G., E.R. ), Bristol, the School of Medicine (M.M.) and Division of Cancer and Genetics, School of Medicine (J.S. ), Cardiff University, and the Department of Urology, Cardiff and Vale University Health Board (H.K. ), Cardiff, the Department of Cellular Pathology, Royal Victoria Infirmary (M.R. ), and the Department of Urology, Freeman Hospital (P.P. ), Newcastle-upon-Tyne, the Department of Urology and Surgery, Western General Hospital, University of Edinburgh, Edinburgh (P.B. ), the Academic Urology Unit, University of Sheffield, Sheffield (J.C., D.J.R. ), the Department of Urology, Addenbrooke’s Hospital (A. Doble), and the Academic Urology Group, University of Cambridge (D.E.N. ), Cambridge, the Department of Urology, Queen Elizabeth Hospital, Birmingham (A. Doherty), the Department of Urology, University Hospitals of Leicester, Leicester (R.K.), and the Department of Urology, Leeds Teaching Hospitals NHS Trust, Leeds (A.P., S.P.) — all in the United Kingdom. Address reprint requests to Dr. Hamdy at the Nuffield Department of Surgical Sciences, University of Oxford, Old Road Campus Research Bldg., Roosevelt Dr., Headington, Oxford OX3 7DQ, United Kingdom, or at freddie.hamdy@nds.ox.ac.uk. 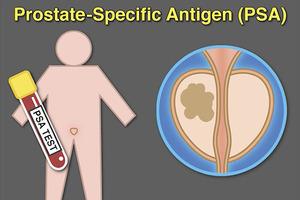 A complete list of investigators in the Prostate Testing for Cancer and Treatment (ProtecT) trial is provided in the Supplementary Appendix, available at NEJM.org.